Hurry! only 110 item(s) left! 0 item(s) already purchased! 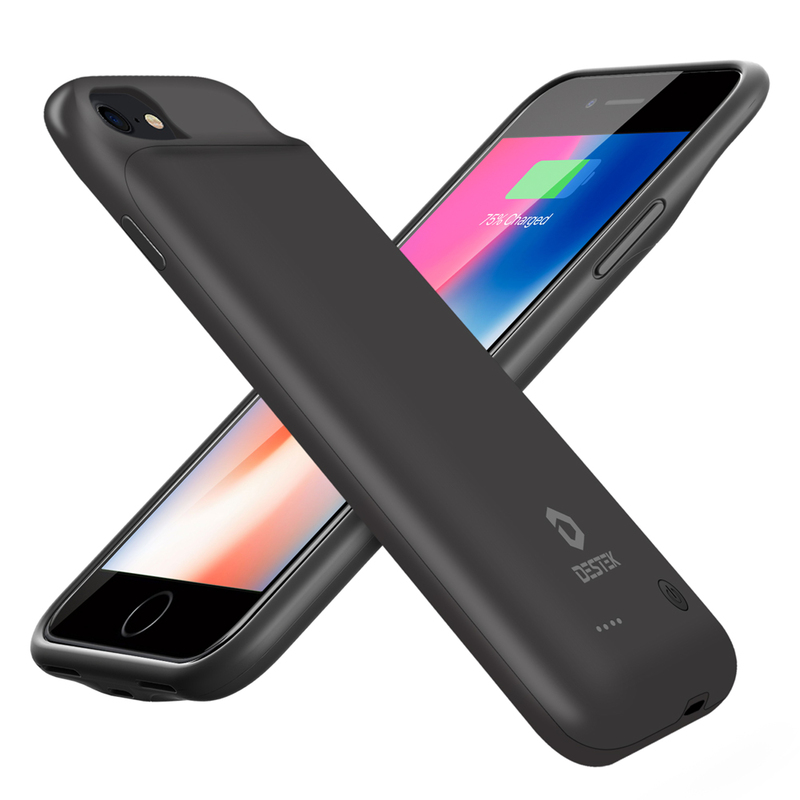 √ Your Awesome iPhone 8 7 6s 6 Plus Partner: Never worry about your iPhone 8 7 6s 6 Plus will go out of battery. 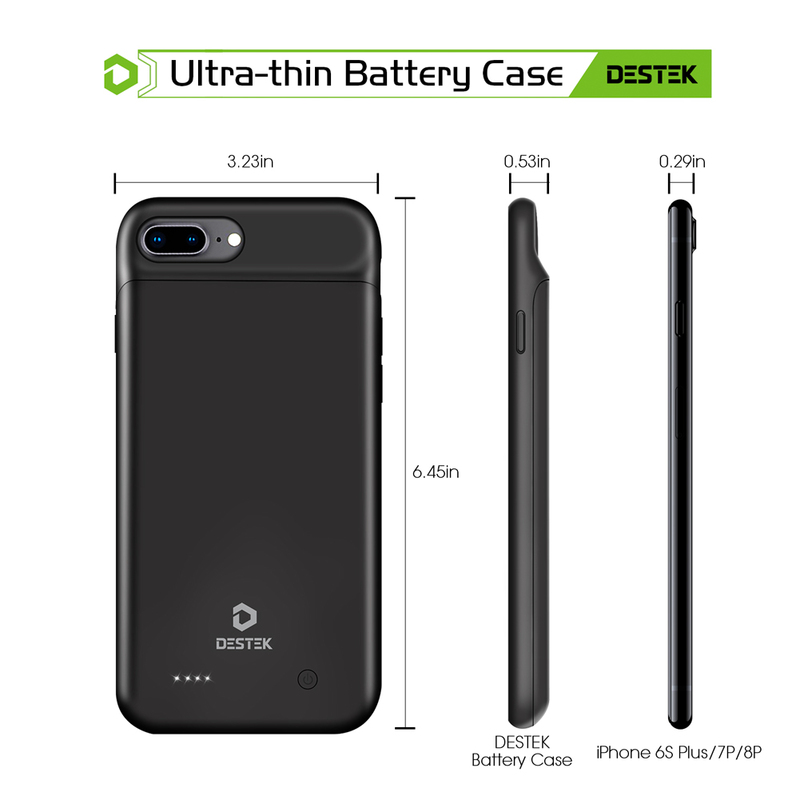 With the capacity of 4000mAh, the DESTEK Battery Case prevent your iPhone 8 7 6s 6 Plus from power-off the entire day once they are fully charged in the morning.★★Note★★: Don't pull the cable from charging port of the case obliquely, otherwise the charging port to the case will become loose. 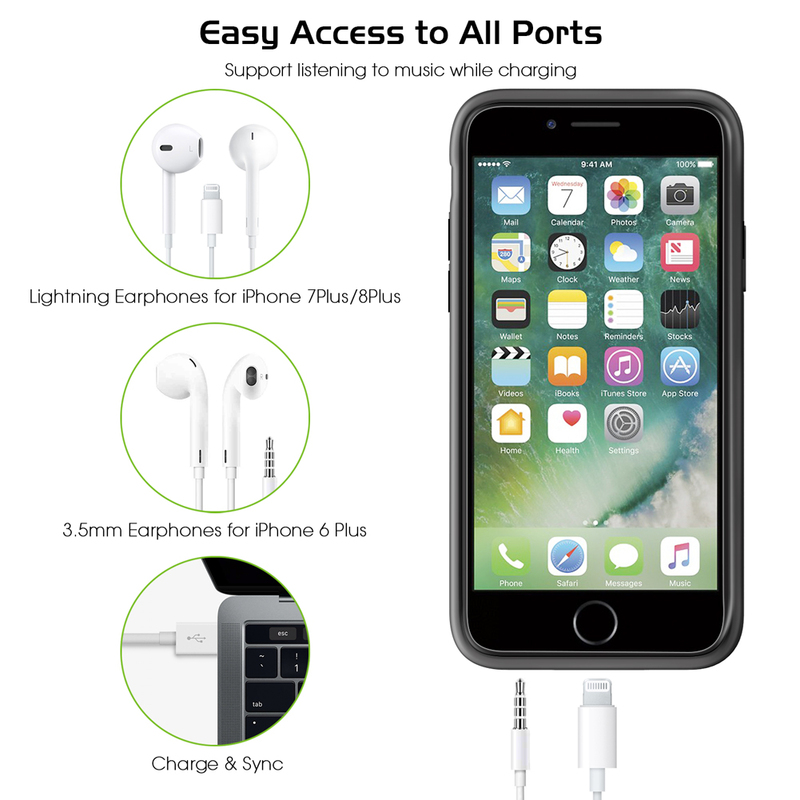 √ Support Lightning Headphones while Charging: Without removing the case, it can sync data to your Macbook, PC or laptop and charge your phone. Besides, your wire headphone is available while charging. √ Stylish Ultra-thin and Compact: You will not feel much weight with the case on your phone and also it keeps your phone looking great while being protected by a combination of flexible and hard rubber. 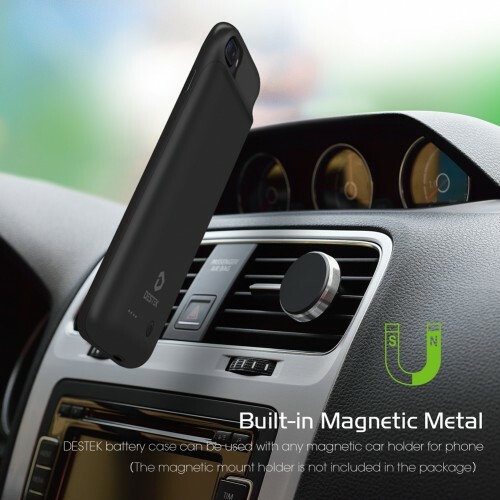 √ Firmly Attached on Your Magnetic Car Mount: With the built-in high-quality magnetic metal, this battery case will help your phone 8 7 6s 6 Plus easily stay firmly attached on the magnetic car mount when driving (Car Mount without magnet Not Included). √ Smart LED Indicators Keep the Battery Status in Your Control: The 4 LED Power Indicator--Featuring with the LED battery level indicator, which let you know exactly how much the power is charged or left (0--25%--50%--75%--100%). 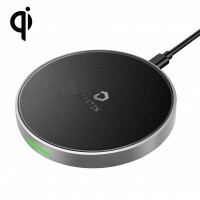 Still fumbling with your phone's could not using Lightning Headphones while charging? Getting tired of finding a chager while your iPhone 8/7 Plus is going out of battery? 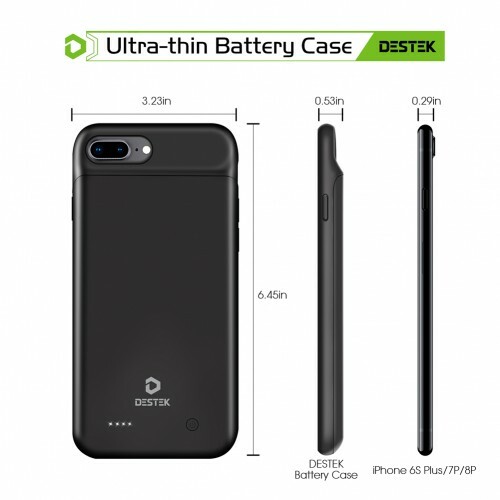 DESTEK iPhone 8/7/6S/6 Plus Battery Case provides a hassle-free charging solution on the go. Never worry that your iPhone 8/7/6S/6 Plus will run out of battery. 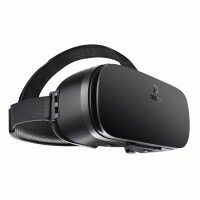 Q: How to prevent the charging port from breaking? A: Please refer to manual or the instructions on our products. When taking it out, press the upper silicone part of the case and push it out slowly. Do not tilt the phone to pull it out. 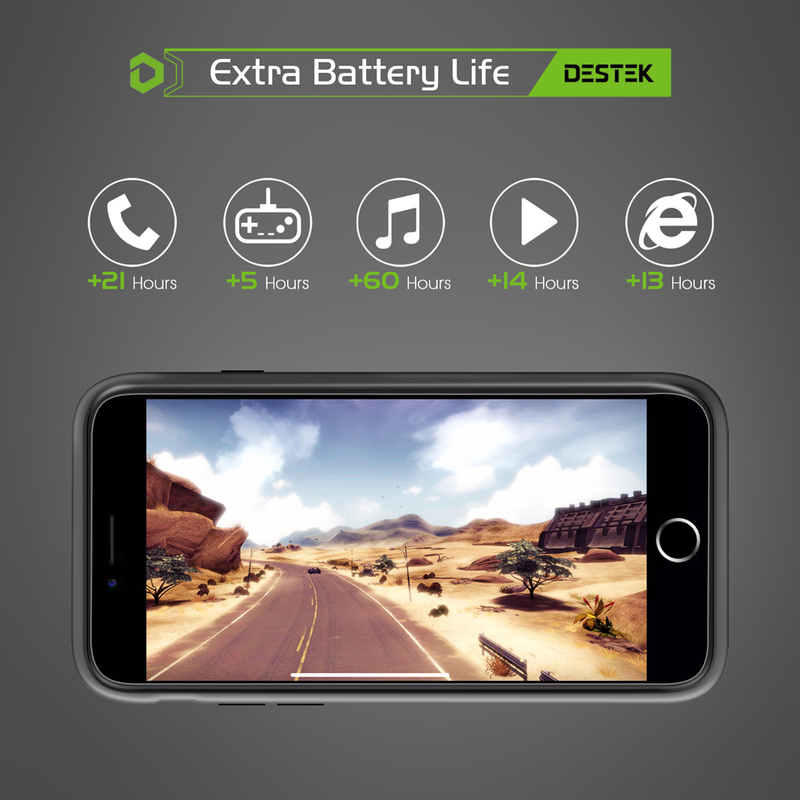 Q: Why the battery doesn't charge? 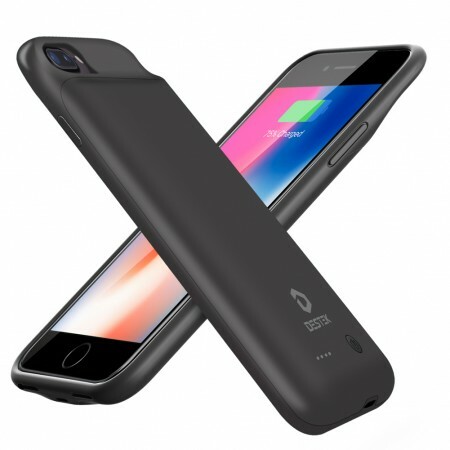 A: Firstly when using it, ensure battery case has enough power.When charging the battery case with the phone into it, the charging rule is like this: charging the iPhone fully first then charging the battery case. 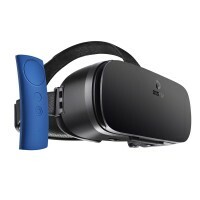 Secondly press bottom to confirm the connector is fully inserted phone charging port. 1.The DESTEK iPhone 8/7/6S/6 Plus battery case is not waterproof, please keep it in a dry environment to protect against the tide. 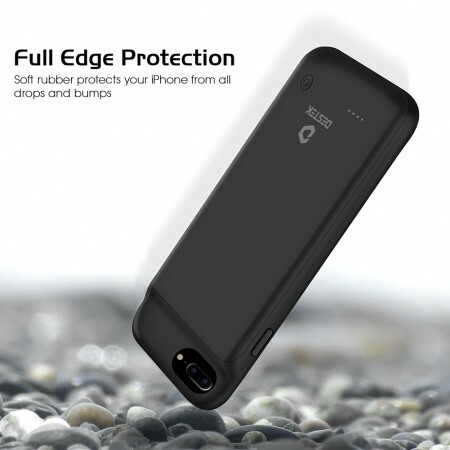 2.The Battery Case only suit for iPhone 8 Plus/7 Plus/6 Plus(5.5 inch). 3.Please notice the angle while install and remove the battery case. 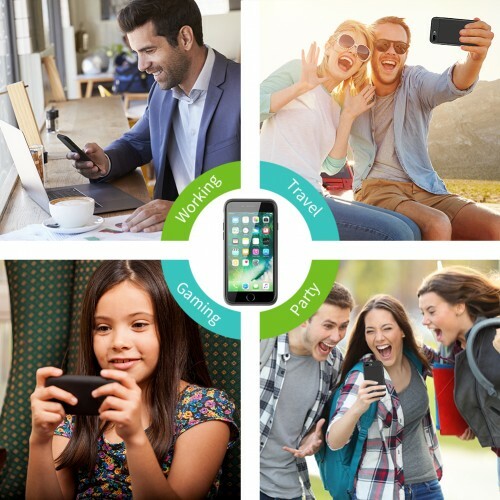 Let me know when DESTEK has new deals. As our brand’s name DESTEK (comes from Design and Technique) shows, for years we have been designing and producing phone gadgets which integrate technique with artistic design in a practical way. We are trying to make cool products that make life more convenient and beautiful.